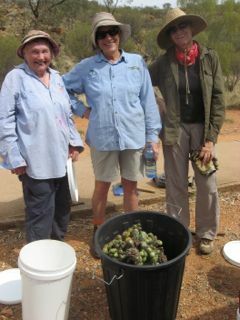 Thanks to all you volunteers for supporting Landcare this year at our cactus control and other projects. 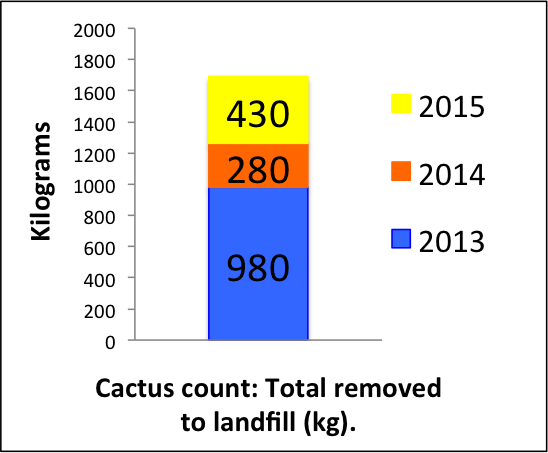 For cactus we managed to complete a sweep of previously treated sites through Eastside, Alice Springs. Following up is so import for success. 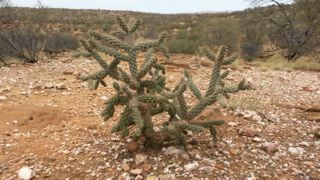 Works at the Alice Springs Telegraph Station Reserve by Conservation and land management students from Batchelor Institute continued to make significant headway into controlling this weed population. 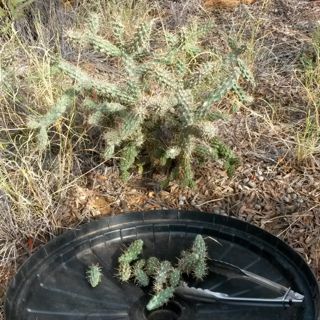 Two detailed surveys between ASTS and Kurrajong Drive infestations were undertaken by students and volunteers. 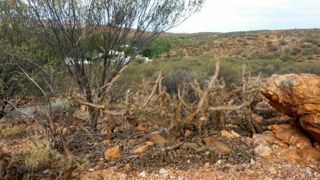 New plants were mapped by St Phillips Geography class west of the Todd River. 2016 works will head to the west in pursuit. 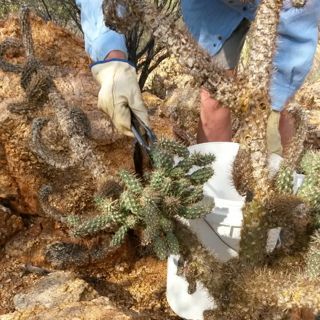 Pics 1-6 at Kurrajong Dr: 2yr regrowth, one gotta away; tricky hand removal work; the crew; Sprayed patch with hand removal required to finish him off; cactus count.